FOSS4G is the annual largest global conference bringing together Open Source geospatial ethusiasts, hackers, developers and everyone together. 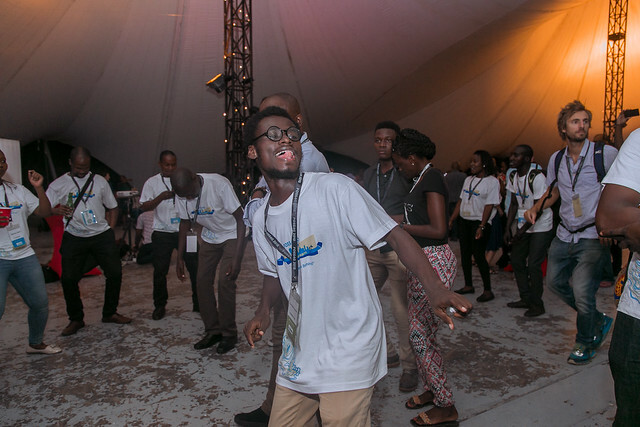 FOSS4G 2018 took place in Dar es Salaam, Tanzania. This was my first FOSS4G as a participant and member of the Local Organizing Committee (LOC). This was my second time travelling to Dar and same venue for FOSS4G, Julius Nyerere International Convention Centre. It was a déjà vu. Meeting new, old and virtal friends Away From Keyboard (AFK). Happening alongside FOSS4G 2018 was HOT Summit, Open Cities Africa 2nd Regional meeting and Understanding Risk in Tanzania. As a member of LOC, there was no time to sit in any session or workshop but snippets of them. Pleasure it was for me, LOC and FOSS4G volunteers to have made everyones participation a memorable one. FOSS4G 2018 was all about you and leaving no-one behind. FOSS4G is not always about workshops and talks. Time to dance and celebrate community members for sacrificing their times. So far as there is music you got to make a move. I want to say a big thank you to FOSS4G 2018 LOC, Sponsors, Volunteers and all participants. You are wonderful. Checkout @foss4g and #foss4g2018 for more. If you have images from FOSS4G, kindly join and share on the FOSS4G Flickr Group. Looking forward to future regional and country based FOSS4Gs across Africa; not forgetting hosting FOSS4G in Ghana :) next time FOSS4G returns to Africa :). See you soon.